Well February into March would easily be the driest time of year for your hair and skin. The Mantra is Moisture, Moisture, Moisture. our natural tendency being to gravitate to drinks that warm us. and therefore not used to replenish our daily body fluid needs. but can work to drain away existing body fluids creating a bodily moisture deficit. 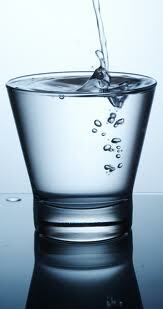 the underlying cause of many chronic illnesses is a lack of sufficient water intake. I cannot overly stress the importance for all of us to dramatically increase our daily water intake. generally better overall health and well being. This is an inspirational story of bravery and basic human intelligence.